Wedco Fabrications provides high-quality precision pipe and plumbing fabrication and cement pipe lining services, and supplies pipes, valves, and fittings, to commercial plumbers, general and mechanical contractors, and sprinkler contractors. We primarily serve NYC, Long island, and Westchester County, NY, but we can ship our products anywhere in the United States and Canada. Working in our state-of-the-art facility in College Point, New York, our highly-skilled union Steamfitters work with the latest technology to consistently deliver high-quality work -- with an on-time record that's among the best in the business. We'll work from your prints to deliver your job to your specs and tolerances, with a level of craftsmanship that is second to none. 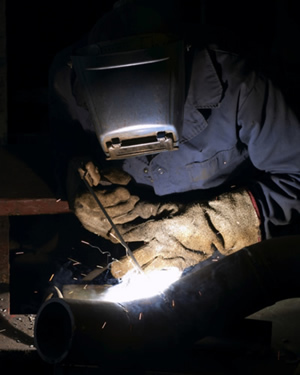 So whether you're a plumber, mechanical contractor, sprinkler contractor, or anyone else who needs quality welding and pipefitting on-time, every time, contact the professionals at Wedco Fabrications.